Early Booking Non Refundable Offer! Book now for 2017 and get 20% discount on our Non Refundable Rates! 25 sq.m. 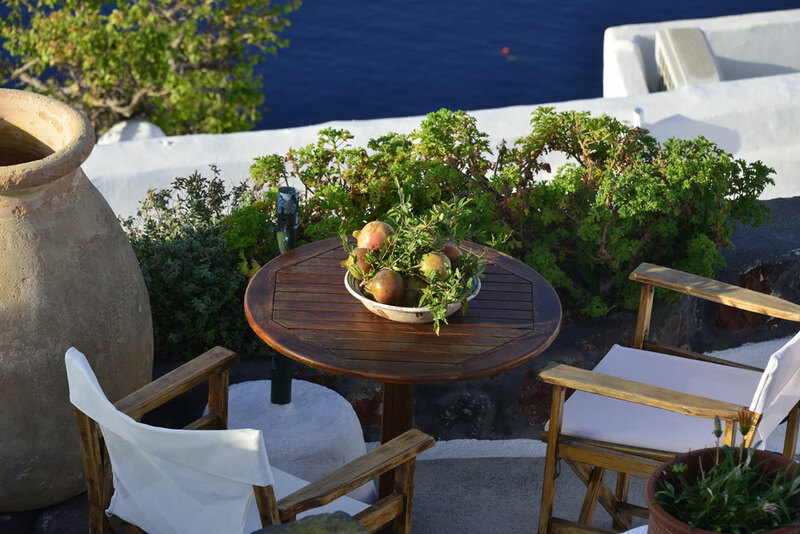 A private furnished veranda with unique view to the caldera featuring an outdoor private hydro massage. Big double bed. Kitchen. Bathroom with shower. Small dining table. Private entrance . Only two people can be accommodated. 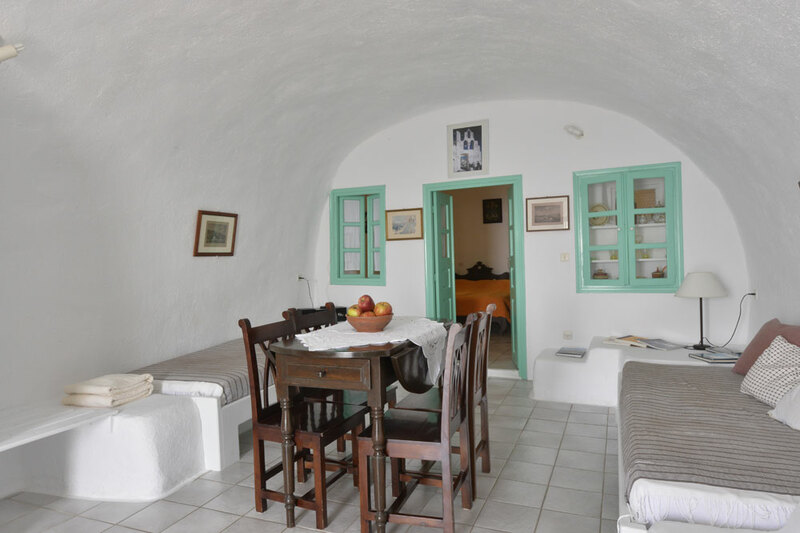 Traditional cave house with bedroom with double bed, kitchen, dining room -living room .loutro. 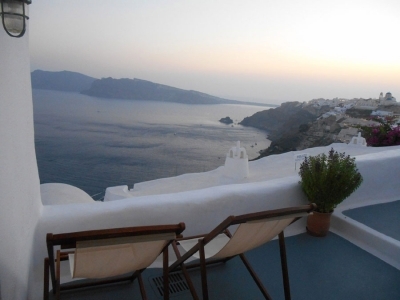 Features a private furnished terrace with outdoor Jacuzi, wonderful views of the caldera. Private entrance. 45 sq.m. 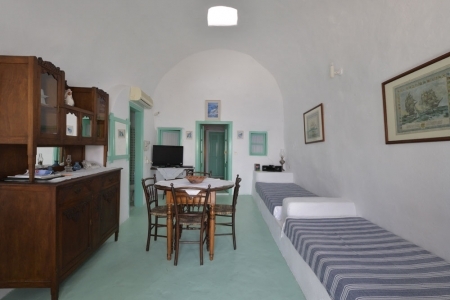 A spacious cave house, with a private furnished veranda with views to the caldera. It features a big cave hydro massage. Private entrance. Bedroom with a wall built bed, comfortable sitting area with 1 wall built sofa, kitchen, dining table, bathroom with shower. It can accommodate 2 people. 30 sq.m. 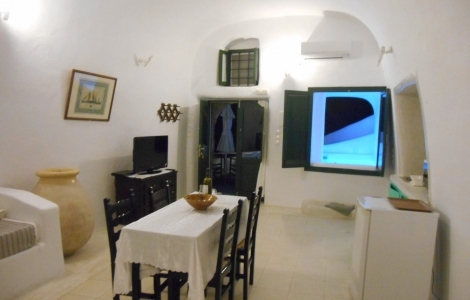 A cave villa with private furnished veranda offering unique view to the caldera. Double wall built bed. Kitchen, bathroom with shower, small sitting area and a dining table. 2 people can be accommodated. 45 sq.m. 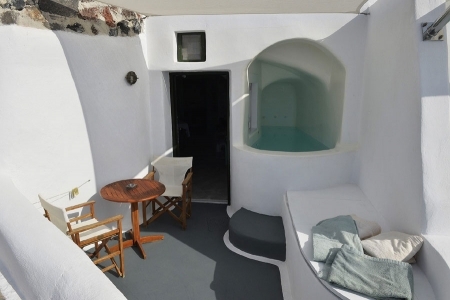 A spacious cave house, with a private furnished veranda with views to the caldera. Bedroom with a big double bed, big living room with sofa – bed, kitchen, dining table, bathroom with shower. 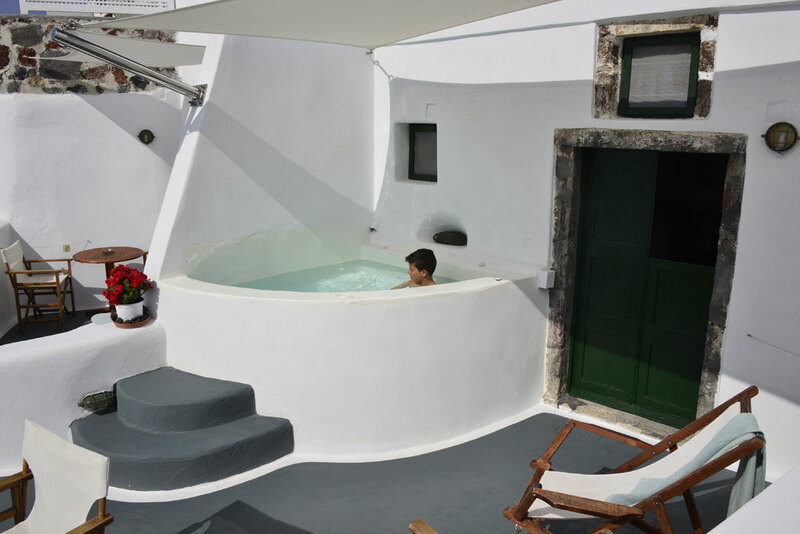 Rimida Villas consists of traditional cave-residences with private jacuzzi tubs and furnished patio, where the guest can enjoy panoramic view of the Caldera, the volcano and the sea. 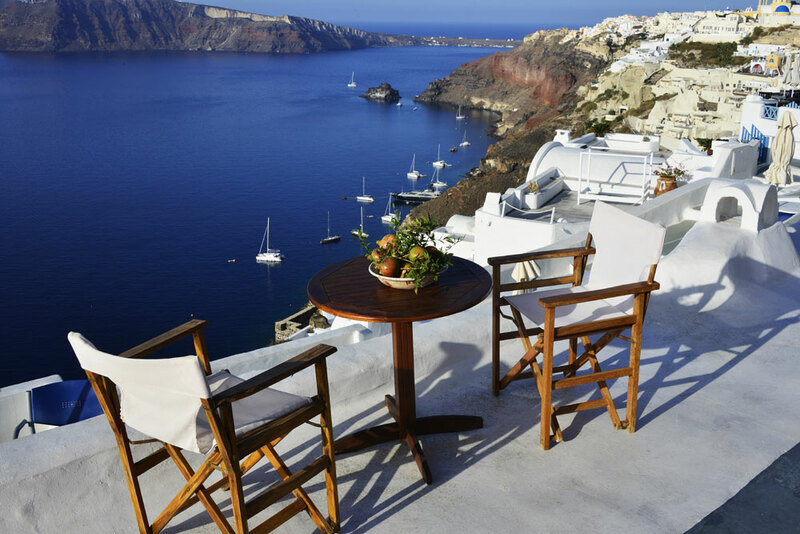 They are located in a most favorable spot, at the top of the Caldera cliff in a quiet residential area. A wide range of restaurant serving local and international cuisine, bars and wine bars are located within a 10 minutes walk from the establishment. Rimida Villas is located 1km away from Ammoudi beach while directly connects with the main road providing access to the rest of the island. 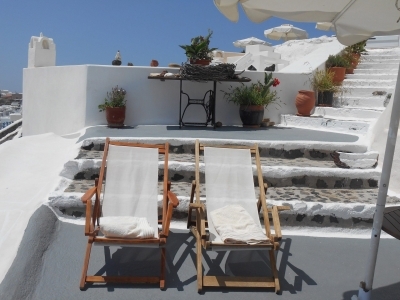 Fira town is 11 km away and Santorini airport is located at a distance of 18 km. 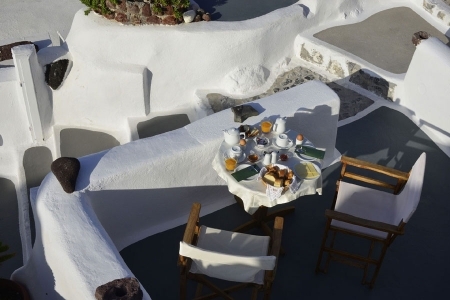 Breakfast is served on your private veranda. Airport / Port Transfer on request (arrival or departure) Beauty Treatment (on request) Boat Trips on request Car Rental on request Doctor (upon request) Massage on request Motorbike Rental on request The staff of Rimida Villas will be pleased in welcoming you and help you enjoy your vacation! No fee is charged for cancellation prior to 21 days before confirmed arrival date. Any cancellation made within 20-15 days the prepayment is refunded (any expenses are paid by the client) 14 or fewer days before the scheduled date the prepayment is not refunded. Non show or departure to the scheduled date result in 100 %charge of the stay. 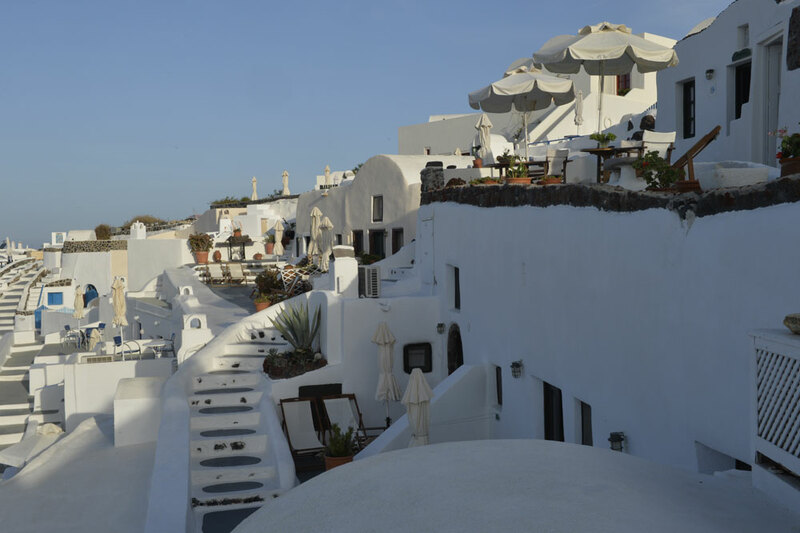 Oia (pronounced E-ah) is a traditional settlement located on the northern tip of the island, high on the cliff-top. 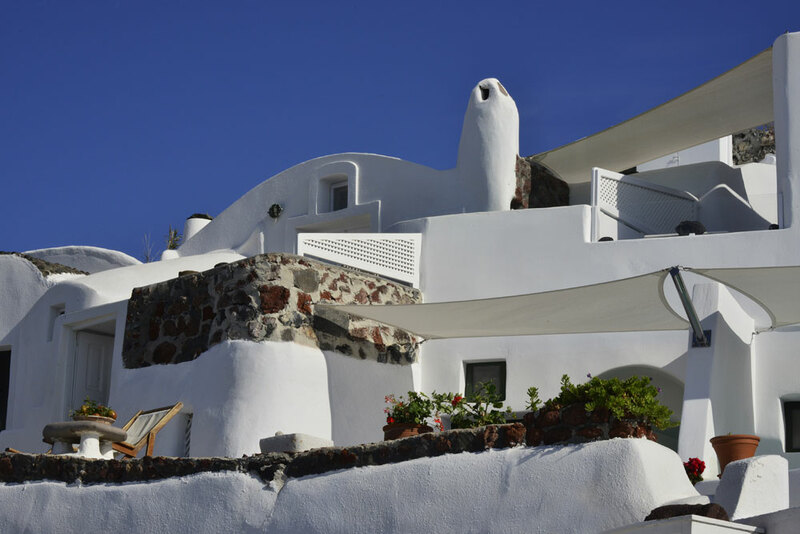 Ia hosts the most magnificent views on Santorini and a picturesque road, with cliffs on one side and sea on the other, leads to this attractive town. A square overlooks the sea and visitors are encouraged to observe a truly fantastic sunset well worth saving on film. Directly below is the beach of Ammoudi and across the caldera bay are the Burnt Islands. Ammoudi is 214 steps below, and Armeni beach is 286 steps below. 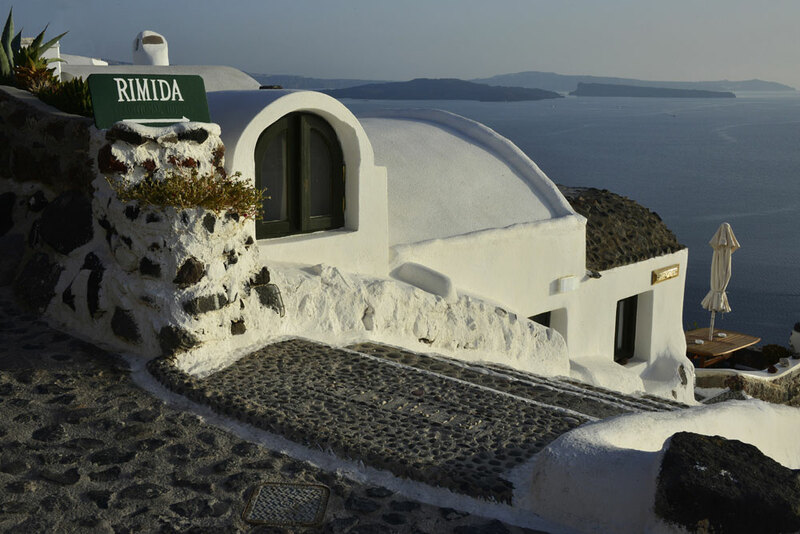 Rimida villas are 10 min walk from the picturesque village of Oia. 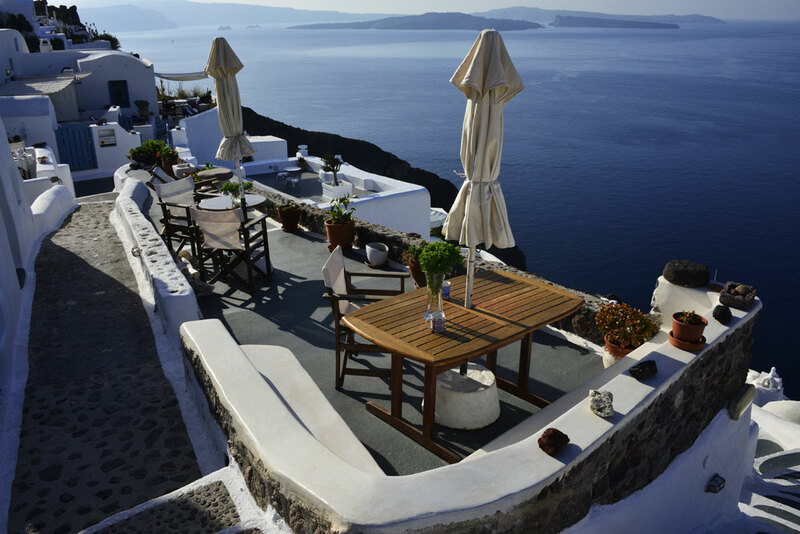 They are the ideal place for quiet and peaceful vacations. 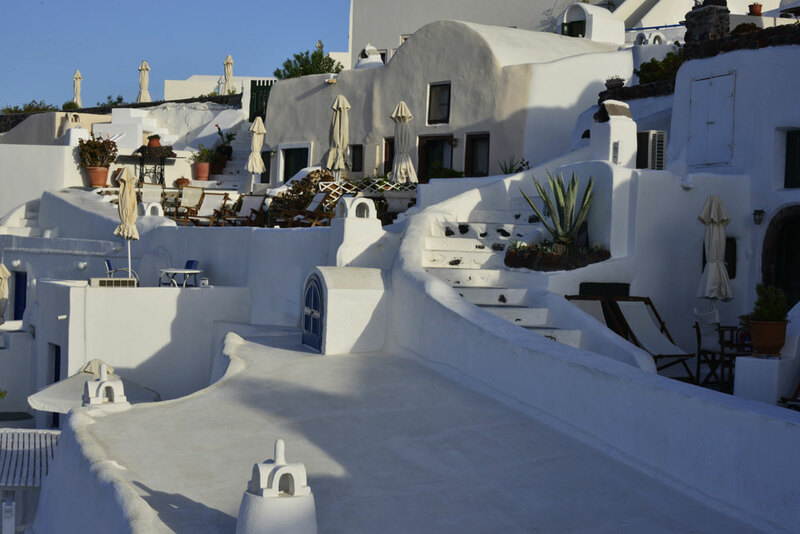 In high upon the brow of the caldera and far way from cars and noises they provide the relaxing and atmosphere of the vacation that you are seeking. 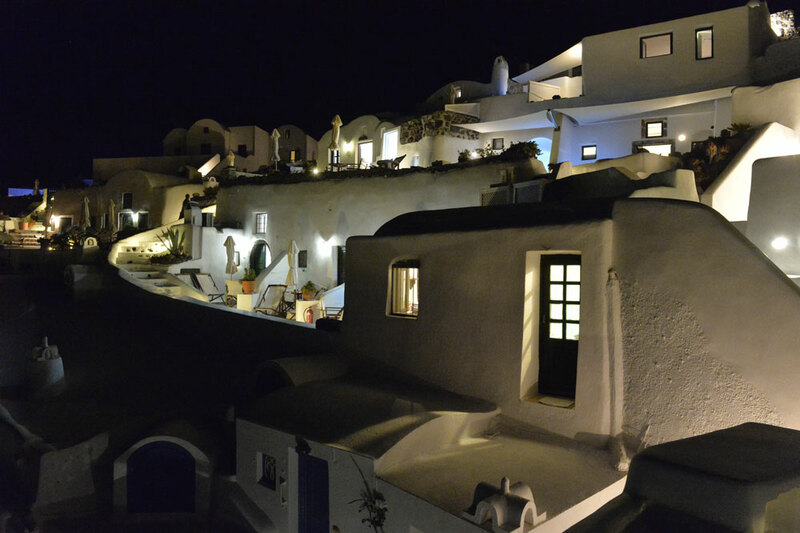 Rimida Villas was a wonderful place to stay in Oia! Just out of the busiest section of town so it felt a little more private, but close enough to walk to everything in minutes. Breakfast was great (and of course it was served with a fantastic view!) The only suggestion we would offer is to have a small drying rack for damp swimsuits (we saw one at another room). We would stay here again! Thanks! 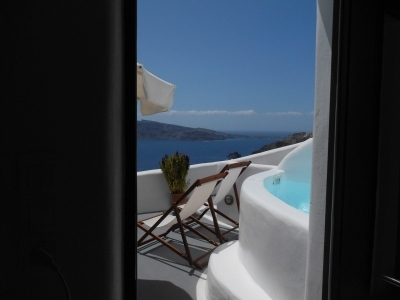 Great apartment with amazing views and very convenient private jacuzzi. It was our second stay after a gap of 10 years. Still perfect. Service, location, terrace, apartment, everything. (Only there should be an option about changing towels and linen. It's really not necessary to change towels every day and linen every second day especially in a place where water is scarce. Please give an option, like almost everywhere else: towels on the floor - change, towels on the racks - use again) Thanks for the fantastic holiday! Lovely hotel with friendly staff! 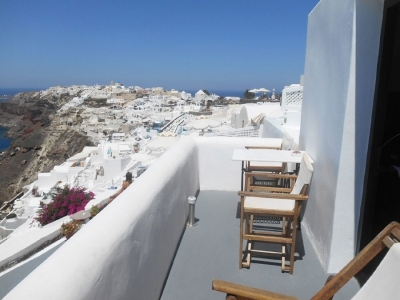 Fantastic location with reasonable price at Oia. Loved our traditional cave house with half jacuzzi! We came out for our Anniversary so wanted something special. It didn?t disappoint, the owners worked hard and were very friendly, and with the spectacular views it was everything we could of asked for. Can?t wait for our next anniversary so we can return. We had a great time at rimida villas! Such a great location, perfect walking distance to town but far enough that you feel secluded and away from the crowds. Pool facilities were excellent and couldn't get enough of our view! Amazing! 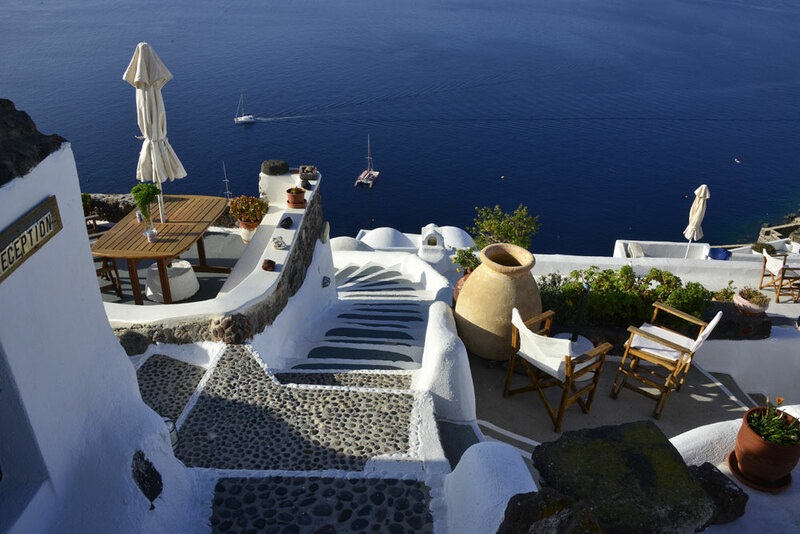 Will definitely stay there again when we return to Santorini! The hotel gave us one of the best hotel experiences we ever had. Location was perfect, just outside the busy pedestrain city area (5 mins walk) away from the noise but easily accessible. Staff was super friendly specially Dimitri who was very helpful, he booked us trips, arranged for car rental, booked us restaurants and seved breakfast everyday in our terrace. 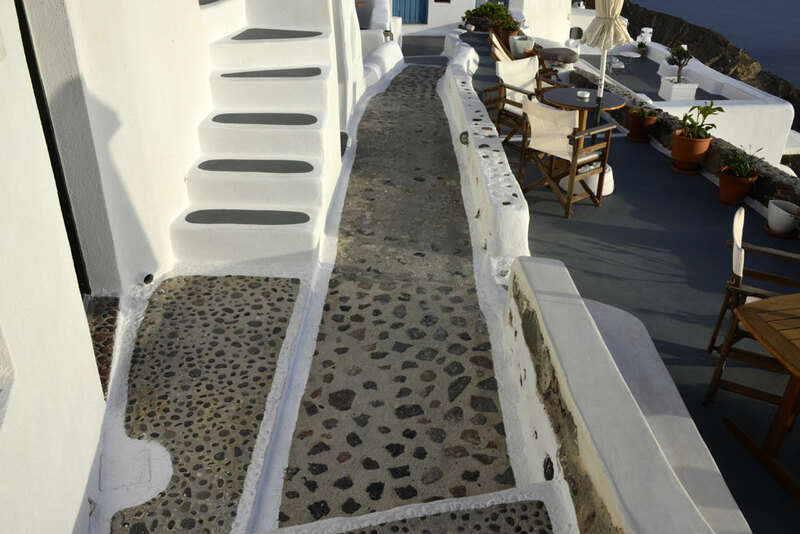 We tried 3 different villas each day due to their availability, i would recommend Villa # 4. In general they were all amazing with a hot tub overlooking the caldera. The rooms were of a cave style and were very clean. Overall, i would strongly recommed staying at this hotel without thinking twice. We absolutely loved the hotel, the location and the hospitality. Dimitri who works at the reception was always very helpful. We will surely return next year. your h?tel is amazing. thank you for all. We very much enjoyed our stay and appreciated Dimitries tips. The staff is super friendly and despite some windy days we had an awsome vacation at Rimida Villas. A warm welcome from Dimitri and the personnel what a pleasure to start a breakfast In front of the breathtaking vies.